After receiving a B.S. 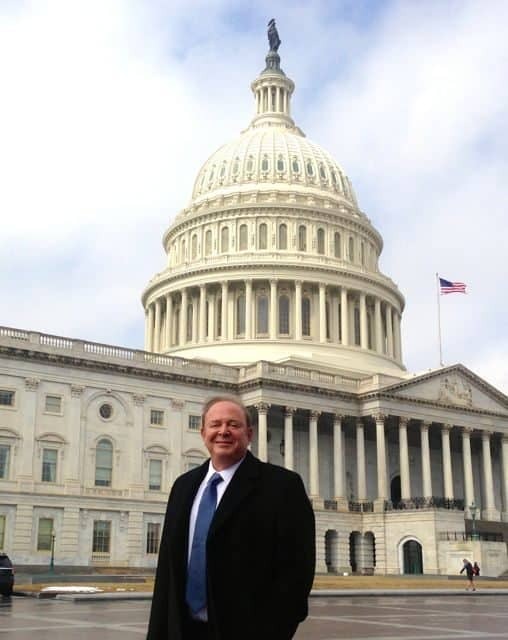 degree in Industrial and Labor relations from Cornell University and graduating from Stanford University Law School, thought leader Sam Guzik was admitted to practice in both New York and California. 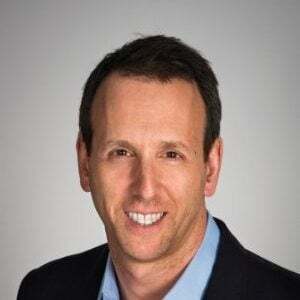 With more than 35 years of experience as a corporate and securities attorney and business advisor in private practice in New York and Los Angeles, including as an associate at Willkie Farr and Gallagher, a partner at the LA law firm of Ervin, Cohen and Jessup and in the firm he founded in 1993, Guzik & Associates, Samuel Guzik has represented public and privately held companies and entrepreneurs on a broad range of business and financing transactions, both public and private. Guzik has represented businesses in a diverse range of industries, including digital media, apparel, health care and numerous high technology based businesses. A recognized authority and thought leader on matters relating to the JOBS Act of 2012 and the ongoing SEC rulemaking, including Regulation D Rule 506 private placements, Regulation A+, and investment crowd finance, Guzik has been consulted by Congressional members, state legislators and the U.S. Small Business Administration Office of Advocacy on matters relating to the JOBS Act and state securities matters. 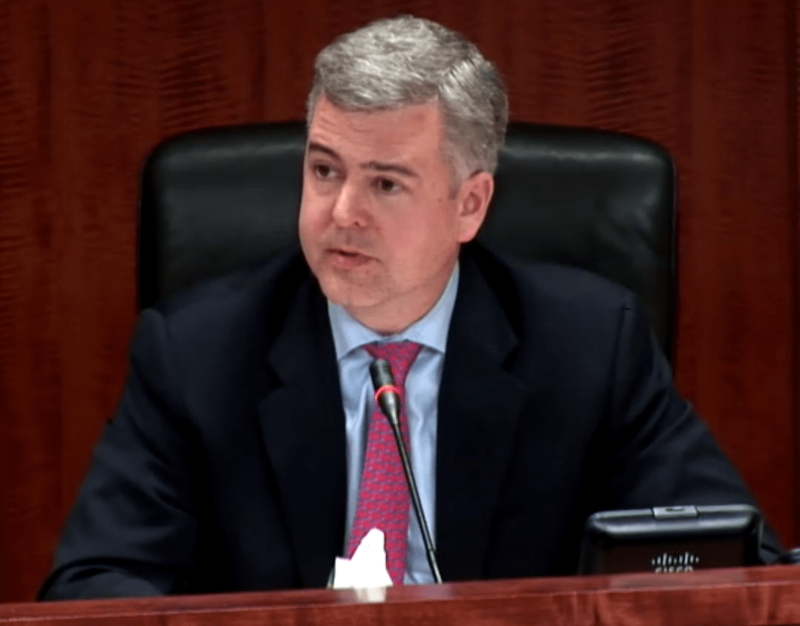 He has also been cited by SEC Commissioner Daniel M. Gallagher on two occasions in public statements, both for his advocacy on behalf of SMEs and his thought leadership on SEC rulemaking and post-JOBS Act reforms. A prolific writer on JOBS Act issues affecting entrepreneurs, small and emerging companies, investors and Internet-based funding portals, Guzik is a frequent blogger on The Corporate Securities Lawyer Blog, addressing developing corporate and securities laws issues, and on Crowdfund Insider as its Crowdfunding Counselor. In 2014 he published two major commentaries on JOBS Act rulemaking in The Harvard Law School Forum on Corporate Governance and Financial Regulation: the first article, entitled “Regulation A+ Offerings – a New Era at the SEC,” discussing the SEC’s proposed regulations implementing JOBS Act Title IV Regulation A+; the second article entitled “SEC Crowdfunding Rulemaking under the JOBS Act – An Opportunity Lost?” addressing deficiencies in the SEC’s proposed Title III investment crowdfunding regulations. 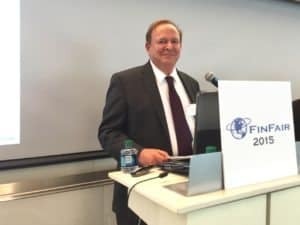 His articles have also been cited in national business publications on issues relating to federal securities regulation, including The Economist, Forbes, Bloomberg’s BusinessWeek, Compliance Weekly and Equities.com. 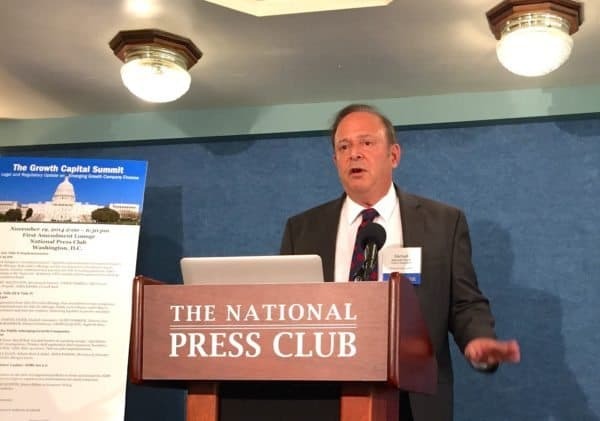 Guzik, a founding member of The Heritage Foundation Securities Regulation Working Group, focusing on federal regulatory issues affecting small businesses and emerging growth companies, also served as a member of the Advisory Council of the Crowdfunding Professional Association before being appointed to their Board of Directors in March 2015. Be sure to participate in the 2015 Americas Alternative Finance Benchmarking Survey by Friday, 18 December. 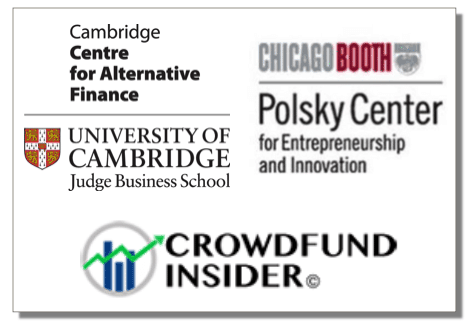 The Survey, a joint venture of The Centre for Alternative Finance at University of Cambridge Judge Business School and the Polsky Center for Entrepreneurship and Innovation team at Chicago Booth School of Business, is the first comprehensive and empirical assessment of crowdfunding, P2P lending and other forms of alternative finance across North, Central and South America. I recently caught up with Guzik between NextGen’s Equity Crowdfunding Conference, Thanksgiving preparations and CfPA’s Third Annual Crowdfunding Summit. He discussed the importance of the 2015 Americas Alternative Finance Benchmarking Survey, as well as the hot topics of post-JOBS Act reform, Title III, Regulation A+, CfPA’s strategic plans and the 2 December House Financial Services Committee’s hearing on bill HR 3784. Our interview follows. Erin: How will the University of Cambridge / UChicago 2015 Americas Alternative Finance Benchmarking Survey be impactful to the Crowdfunding Professional Association (CfPA)? Do you believe the data will aid policy makers in making good policy decisions? Sam: The CCAAFB Survey will be impactful not only to the CfPA, but to the industry, industry participants as well as policy makers. Raw data, and the conclusions which can be derived from it will be immensely helpful, especially when compiled and analyzed by these leading academic institutions. We are at the very beginnings of a new, Internet-based, financing system. Absent reliable data, we are at the mercy of conjecture and anecdotal events, which is inherently unreliable. Equally as important, academicians can review and analyze this data through a number of disciplines: macro-economic and micro-economic, social and cultural behavior and finance. The studies which this data will produce will be of immense guidance, both in term of understanding what is working, and why, but also to help the industry, crowdfunders and regulators evaluate important next steps. 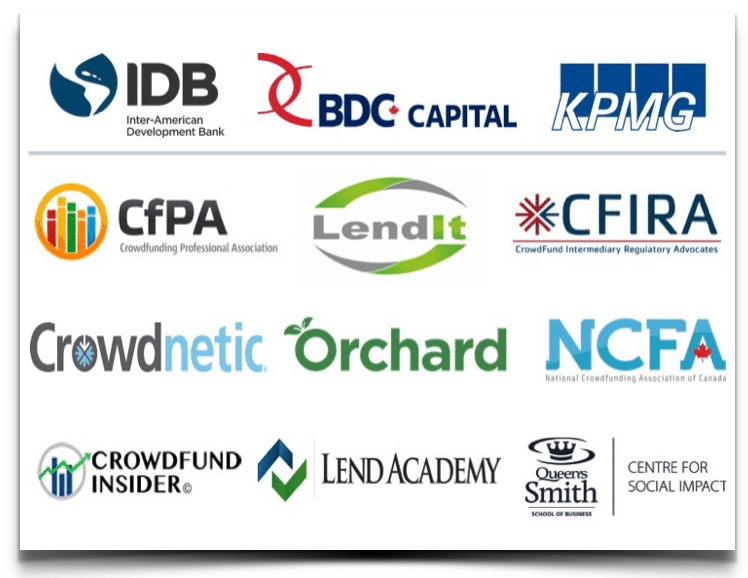 Erin: Why is the advent of equity crowdfunding so important? 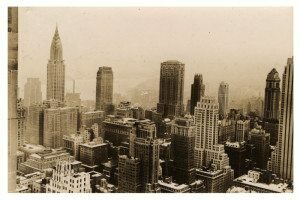 How can crowdfunding help bridge the gap between the “vast capital deserts which lay between the shores of New York City and the San Francisco Bay”? Which platforms are most effectively bringing people, ideas and capital together? What sets them apart? 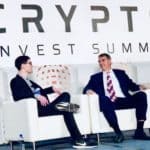 Sam: Equity crowdfunding is immensely important as an efficient allocator of resources, allowing capital to be directed to companies outside the traditional capital networks, and also providing investors with an abundance of real time data and investor feedback through the wisdom of the crowd. Statistically, capital for early stage businesses has concentrated geographically in certain major metropolitan areas, specifically, New York, Massachusetts and California – leaving the “flyover states” underserved. Equity crowdfunding also provides a broader reach for populations traditionally underserved by traditional capital sources, such as women and minorities. We are also seeing data from accredited investor crowdfunding in the U.S. which shows the influx of capital in the U.S. from long distances, including outside the U.S. There are an unlimited number of platforms which will flourish in this new environment: community based platforms, industry verticals such as real estate, technology and media; and platforms appealing to targeted affinity groups, such as socially conscious companies. It would be unfair to single out any one platform. Companies looking for the right platform must do their homework, taking into consideration such factors as the area of concentration of the platform, its track record, the strength of its investor base, and site traffic generally. 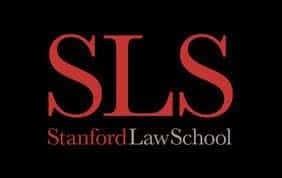 Erin: Since graduating from Stanford Law, you have honed specialties in corporate, securities, finance, private offerings, public offerings, reverse mergers, contracts, business, mergers, acquisitions and real estate law. You also hold a BS in Industrial and Labor Relations from Cornell and a law degree from Stanford. How does your background provide a foundation for a nimble career trajectory shift into the realm of crowdfunding and alternative finance? 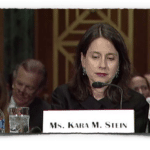 Sam: As far as my academic background, what has stayed with me most is the conclusion I drew in law school in my first securities law class: our regulatory system, now more than 80 years old, has long lived with too many ambiguities and uncertainties. 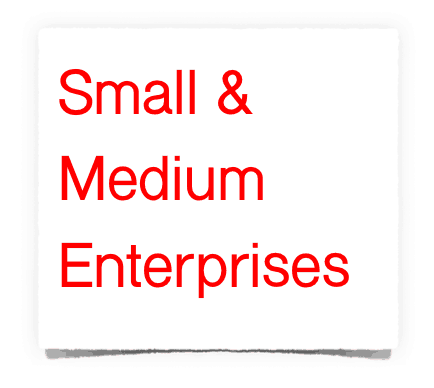 Though this has been narrowed somewhat by the SEC providing “safe harbors” for companies to raise money short of a full SEC registration, more is needed to open up avenues of capital formation for startups and SMEs. The widespread adoption and availability of Internet technology and communications channels now makes it possible to close some of the gaps in our regulatory structure, and provide more cost-effective means for startups and emerging companies to raise capital. 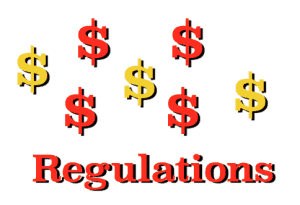 All that is required is the political will of regulators and Congress, and recalculating the appropriate balance as between investor protection, efficiency of capital markets and “right sized” regulation for the smallest of companies who can least afford burdensome, complex regulations. Erin: How does the CfPA plan to “organize, energize and channel the forces that are necessary to move the post-JOBS Act forward”? 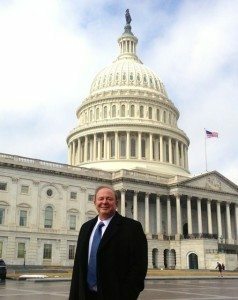 Sam: The first step is to have the industry leaders share my belief that what this post-JOBS Act industry needs is a collective voice, especially in D.C. where there remains a great deal of work ahead, in terms of fine-tuning regulations, adopting new regulations, and effecting further legislation to build on the JOBS Act of 2012. This will require a combination of the CfPA demonstrating leadership in these areas and involving key industry participants and thought leaders. Erin: In terms of advocacy, outreach, establishing best practices and calling out less-than-best-practices, how does the CfPA intend to “nurture” the nascent crowdfunding industry? Sam: There are many opportunities. Indeed, there are too many opportunities relative to the resources of any single organization, including the CfPA. 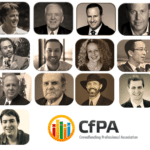 All of these efforts start with strong, diverse leadership, with recognized industry leaders, something the CfPA has succeeded in accomplishing in 2015. It truly takes multitudes of disciplines, including academic, legal, accounting, and financial, not to mention having expertise in industries which have proven to be a good fit for crowdfunding. This leadership core must be able to engage with as many industry partners and affiliates as possible, as the industry’s strength, and the strength of the CfPA, will require “crowdsourcing” in the broadest sense. Within this framework, an expanded crowdsourced network with the right partners, anything and everything is possible. The CfPA is in the process of implementing plans for 2016 in terms of outreach and best practices, fueled by the recent completion of JOBS Act rule making for unaccredited investment crowdfunding and Regulation A+. The CfPA is fortunate to have a wealth of talent on its Board, to energize and implement effective initiatives in the areas most in need of attention as we begin a new era, advocacy, outreach and best practices. 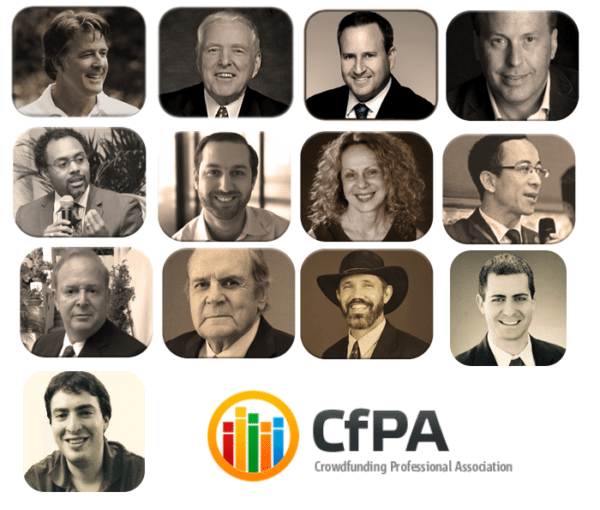 Erin: Please take a moment to talk about the dynamic CfPA team, including such notables as Brian Korn, Scott McIntyre, Thell Woods, Joe Bartlett, Jordan Fishfeld, Alon Hillel-Tuch, John Mueller, Rodney Sampson, Richard Swart, Ph.D., Rose Spinelli, Xiaochen Zhang and Crowdfund Insider Senior Contributor Anthony Zeoli. Sam: We have a wealth of talent who have shown the ability to be industry leaders. We are fortunate to have the leaders in academia, finance, entrepreneurship, marketing, advocacy and other important disciplines. Many of them have international reach. And as a collective group, we have seen great traction in attracting international interest. Erin: What challenges have you faced as President of CfPA? Sam: Initially, the biggest challenge for me was how to define the focus of the CfPA. Crowdfunding has become a broad, unwieldy space in a short number of years. And up until now our resources have been limited, both financial resources and the bandwidth of CfPA leaders and membership. Take our Board, for example. 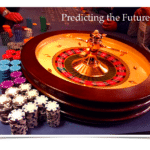 Most of us are already fully committed to activities outside the CfPA. There is a need for some level of part-time staff to effectively conduct outreach with our membership and prospective membership alone. However, as we approach year end, with an expanded Board, we are beginning to attract industry support, both financially and in terms of actively participating in core CfPA activities. With the JOBS Act now in full swing, I expect this trend to accelerate. There is now the semblance of a post-JOBS Act industry. If we show leadership, with tangible results, I expect to see growing industry support at the CfPA. Erin: You recently stated, “I ultimately learned that a single voice can make a difference. But a collective voice – the power of a noisy crowd – is essential to sustained progress.” What experiences led to learning these lessons? Sam: A collective voice is important, especially when under the umbrella of an industry trade organization such as the CfPA. Let’s face it, there are strong countervailing forces in Washington, D.C., whose priorities are often at odds with necessary legislative and regulatory change. These forces are well- organized, well-financed and well-staffed, replete with full time executive directors, staff attorneys and paid lobbyists. 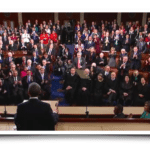 Proponents of the JOBS Act and post-JOBS Act reform are no match for these forces. It takes not only the continued actions of individuals, but also a permanent, established industry voice. The time was not right for this back in 2012, but with the JOBS Act now in full swing, the time truly is now. How did I come to these conclusions? 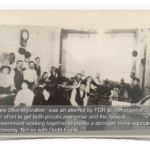 From reviewing the low priority given to our engines of job creation and small business over the past 35 years, and listening to D.C veterans who share the goals of enhancing channels of capital formation for startups and emerging businesses. 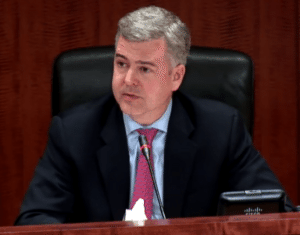 Some of my biggest influencers in this area have been Congressman Patrick McHenry, the recently retired SEC Commissioner Dan Gallagher, and David Burton, Senior Fellow at The Heritage Foundation. 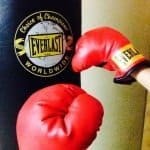 As a veteran securities attorney, one of the conclusions I came to was that small and emerging businesses lacked a strong, effective advocate at the SEC. 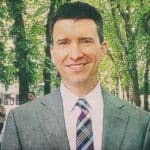 This led me to publish an article in Crowdfund Insider in February 2014 advocating for a Small Business Advocate at the SEC who reported not only to the Commission but to Congress. Though the need for this new office seemed obvious, I could find nothing in the public record discussing the need for a small business advocate at the SEC prior to my article. This led to a meeting with then SEC Commissioner Dan Gallagher in June 2014 to discuss the efficacy of this idea. In September 2014 Commissioner Gallagher adopted this proposal, appropriately titled “Whatever Happened to Promoting Small Business Capital Formation?” citing me as a proponent. 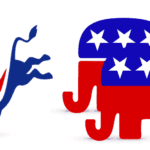 This started a chain of events which ultimately led to an introduced bill in Congress in October 2015, HR 3784, with bi-partisan sponsorship and backed by major industry trade associations, including the U.S. Chamber of Commerce, the National Venture Capital Association, Small Business Investor Alliance, Biotechnology Industry Organization (BIO), Small Business & Entrepreneurship Council (SBEC), and the Crowdfunding Professional Association, of which I am President. 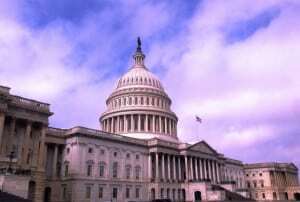 The bill is scheduled to be the subject of hearings on December 2 in the House Financial Services Committee and reportedly has yet to face any opposition. I expect that ultimately this bill will become law, helping entrepreneurs in pursuit of capital for many years to come. What I learned from this experience is that a single voice can be effective, but it takes collective action in Washington to get the ball over the finish line. It took the involvement of not only the public outcry of an SEC Commissioner, but a DC-based small business trade association who heard this call to action, the Small Business Investor Alliance, to help bridge the gap between an idea whose time had come and an introduced bill, by actively pursuing legislation on the Hill. 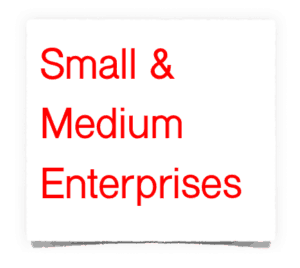 Erin: Do you believe Title III will fulfill its mission of facilitating access to capital for SMEs? Sam: Yes, Title III will fulfill its mission. 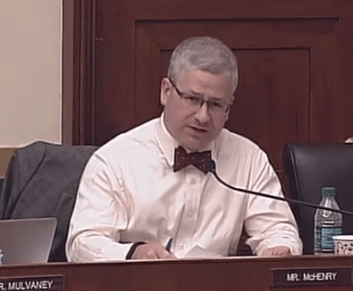 The first step is to take back the ground that Congressman McHenry’s bill lost in the Senate, a victim of special interest groups and partisan politics. 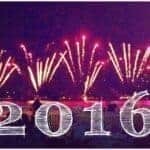 I expect that the task will be easier in 2016, with various forms of crowdfinance having a track record, both in the U.S. and abroad. The ghosts which some saw in Congress in 2012 simply have not appeared. But a stagnant, jobless economic recovery is still with us. 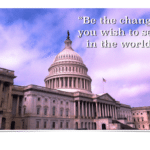 Imagine – a legislative fix that does not require increased government expenditures or new taxes. It is as simple as striking a better, wiser balance between protecting investors and the integrity of our capital markets, on the one hand, and allowing efficient access to capital for the smallest of businesses. 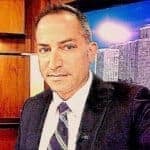 Erin: Which dots still need to be connected to make Title III more workable? Many see some challenges regarding the final rules on Title III, i.e. no SPVs and a low limit for a raise and low investor limits. How will Congress act to address these issues? Sam: I am confident that we will see legislation in 2016 to make Title III more efficient and effective. We now have a fixed target, final SEC rules, and a track record for equity crowdfunding. A number of areas which need to be addressed: increasing the offering limit from $1 million to $5 million; limiting portal liability, letting it act more as an independent intermediary, rather than a quality filter; revising issuer liability to remove the strict liability type standard in Title III, replacing it instead with the tried and true “anti-fraud” liability standard applicable to issuers conducting private placements; allowing full use of social media outside the confines of the crowdfunding portal, and allowing Title III companies to “test the waters” similar to what is now allowed under Regulation A+; allowing investors to form special purpose vehicles to group together large groups of investors under a single entity, allowing intermediaries and their affiliates to have a greater economic stake in their issuers; and removing investment limits for accredited investors. Yes, a tall list, but one which will ultimately see fruition, though some of these issues may take some time to resolve. 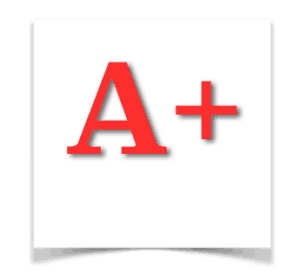 Erin: Do you think Regulation A+ is living up to its potential? Sam: The correct answer is that it is too early to tell, as this is a new vehicle for capital formation. The informed answer is that it is showing early signs of promise. We are seeing quality underwriters begin to enter this space with filed offerings. And we are also seeing some companies getting strong traction in testing the waters campaigns. I expect this market to show strong incremental growth, simply because there has been a vacuum in the small IPO market for the past two decades, and Regulation A+ seems perfectly poised to fill the gap. 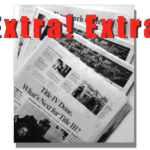 Erin: What are your thoughts about Title II accredited crowdfunding? Sam: Title II has gotten off to a slow start, as it is new. But it has also shown incremental sustained growth over the past two years. It has proven to be a tremendous fit for the real estate industry, and those seeking financing in the $1.5 -$2.0 million range. I expect that this area will grow as intermediaries develop broader investor bases and the investing public has an opportunity to view the track record of some of the early Title II investments. 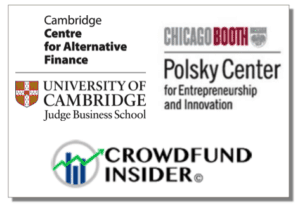 Crowdfund Insider has joined with The University of Cambridge and University of Chicago Booth School of Business to be the exclusive media partner on this benchmarking research. This interview is one of a series that includes multiple, in-depth interviews with international thought leaders and alternative finance industry pioneers from the collaborating associations. 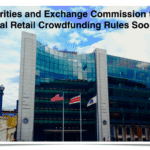 Exit: SEC’s Dan Gallagher – Enter: The Crowdfunders! This entry was posted in Featured Headlines, Opinion, Politics, Legal & Regulation and tagged 2015 cambridge-chicago americas alternative finance benchmarking research, alon hillel-tuch, anthony zeoli, brian korn, cfpa, daniel gallagher, david burton, douglas monieson, hr 3784, jobs act, joe bartlett, john mueller, jordan fishfeld, regulation a, richard swart, rodney sampson, rose spinelli, sam guzik, scott mcintyre, sec, thell woods, title II, title III, university of cambridge centre for alternative finance, xiaochen zhang. Bookmark the permalink.